This week, we’re checking back in with visionary entrepreneur and Warrior Moms founder, Nicole Lee. The Warrior Moms project not only recognizes and celebrates the warrior strength found within single moms, but encourages the rest of our queen city to do the same. Since we last spoke, Nicole assembled a team to select and award three women, in three different neighborhoods, to represent beauty, power, and strength within their communities. This weekend People’s Liberty hosted the celebratory event where the honorary Warrior Moms were presented with their prizes: holistic makeovers and a professional photo shoot featuring both glamour and war paint shots. Along with these prizes, the diverse and dynamic core team will be providing financial consultations, custom-designed jewelry, beautification services and products, high-fashion clothing, and health consultations. 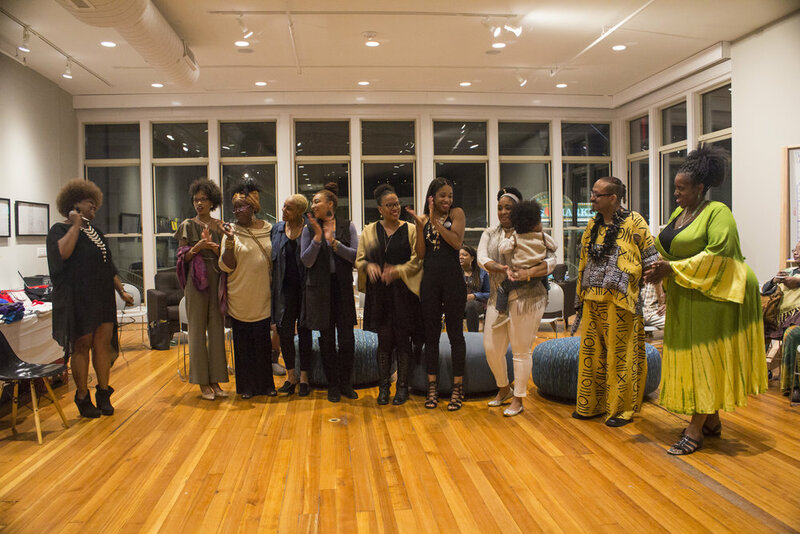 As women who have given so much to their children and communities, these Queen City Queens give power and voice to their individual stories, as well as those who listen to them. With ready and admiring ears, we gathered a little insight into the lives of these women. Our first mom, Julia, has lived in Price Hill for the past four years, enriching and embracing her life alongside the lives of her five children and three grandchildren. She believes in the power of sharing and storytelling – beautifying the soul by enhancing, empowering, and enlightening those around her. This belief manifests itself in her relationship with her children and extends into her work as an owner of B.Younique Beauty Bar. Carla Belcher has brought life and enthusiasm to her community in North College Hill for the past 16 years. Regardless of her ongoing health challenges, heart for the nonprofit sector, or single-motherhood, she remains an engaged and constant advocate for the safety of the neighborhood children. Whether with the Sunday school kids or with her own son at home, Carla encourages those in her life to continue overcoming obstacles and make good choices. Sharon Ford is a force to be reckoned with as she navigates motherhood while working two jobs and pursuing a degree in electronic media studies. She seeks community connectedness in Avondale by paying close attention to her son as well as the neighboring children, and helping them build into themselves so they can build into the world. With the Warrior Moms chosen, it’s time to continue celebrating single mothers everywhere and more specifically, get excited for the fashion show event this summer on June 17!